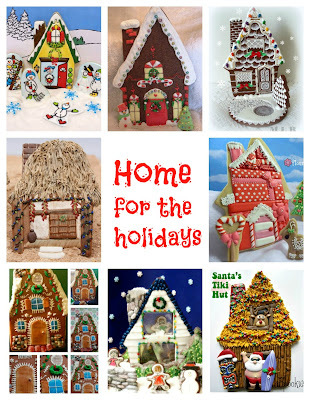 A group of cookiers got together and decided to do a 'Home For The Holidays' with this HUGE 5"x 9" cookie cutter....Christmas Village Collaboration: With everyone using the same cookie cutter create your take on a Christmas homefront (front facade only) In whatever dough floats your boat. My mind was going in a million directions with ideas. I surely did not ant to do the typical fancy Victorian house or the whimsical gingerbread house. Both ideas which I love but I had to be a little different. Going off the path somewhat lol. Summer and Tiki Hut popped into mind and the ideas went from there. Bamboo and straw with strands of Christmas lights, a small totem pole with a Santa Hat and Christmas isn't Christmas without Santa right? 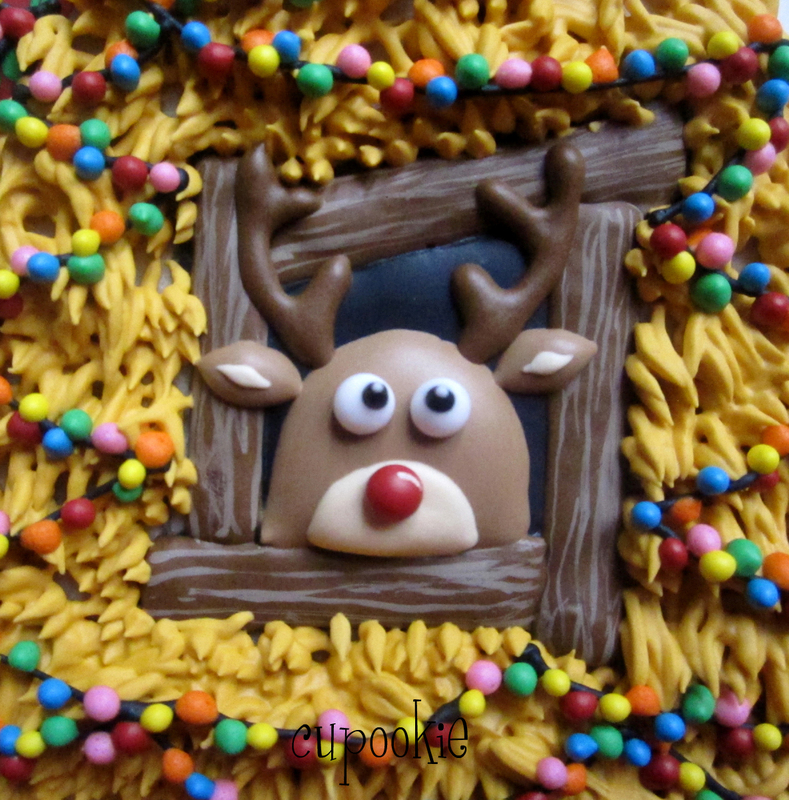 The totem pole and Santa are royal icing transfers. Just seemed the easiest way to do those. The straw was done with a Wilton tip #233. The bamboo technique was inspired by SweetSugarBelle. I also painted some brown food coloring on the bamboo to give it some depth. 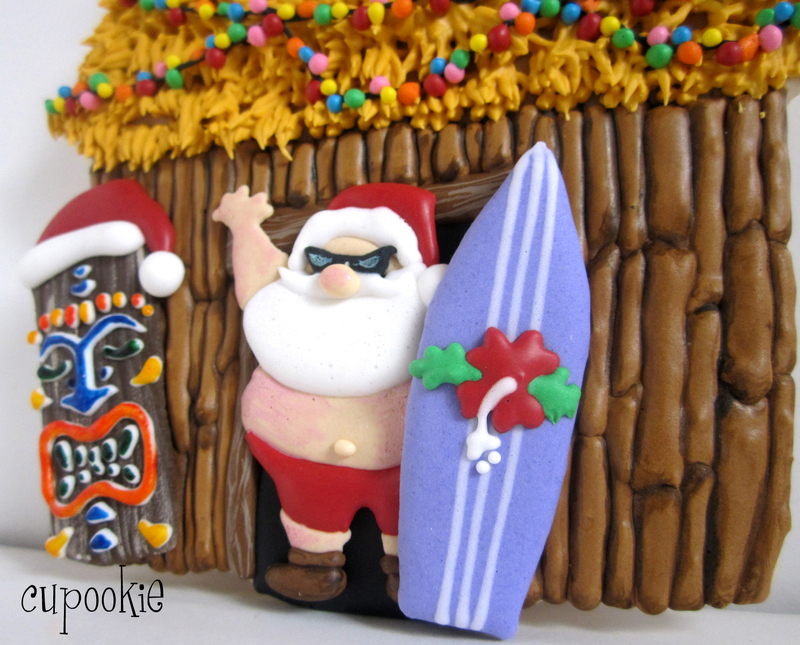 I must say Santa looks to be having a much better time in his Tiki Hut rather than freezing his big bum off at the North Pole! HAHA! Love, love, love it! Such a creative take on the holidays. With all the stunning detail, I can't imagine how long this took you! Oh my goodness -- I LOVE this idea! And my very favorite part of all is Santa's little sunburned tummy!! The tiki totem is perfect and I can't imagine how long it took to do all those lights in straight lines! I love it! 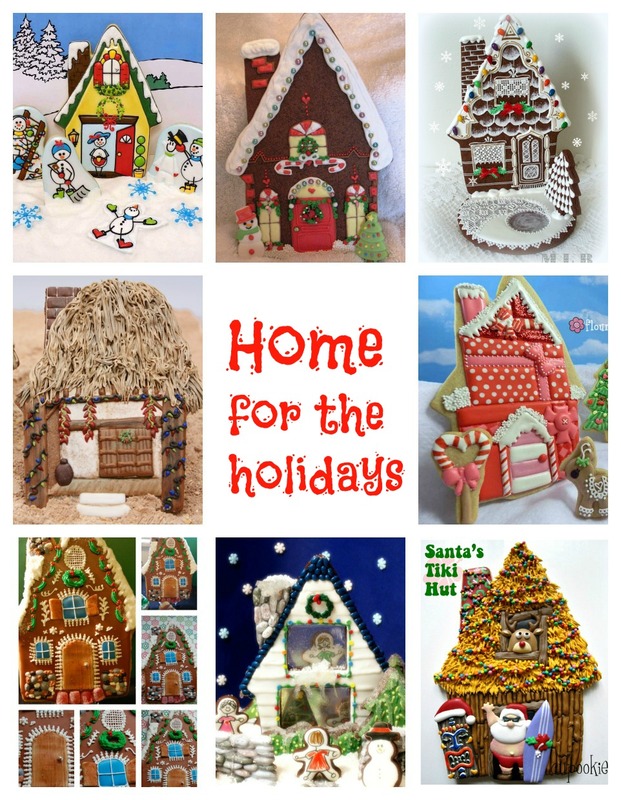 I absolutely ADORE your house! Santa looks like he's having such a great time. (and I love that he's a little sun-burnt!) 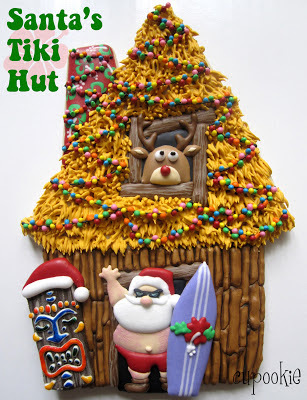 The tiki is hilarious... and the Christmas lights on the straw roof are perfection! Haha, this is so cute! It's perfect! These are gorgeous! 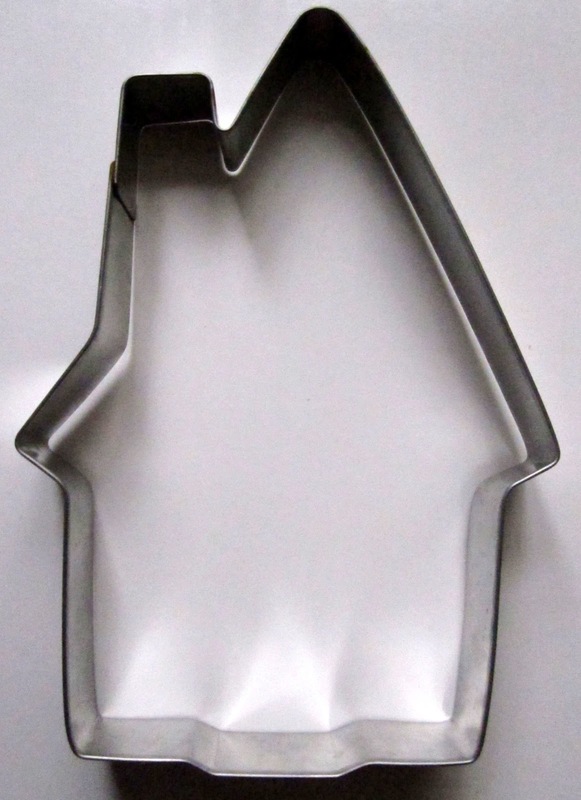 Where did you get the Cookie Cutter? I'd love to have one like this. Thank you so much for the sweet comments. You all are awesome! Gotta love a Sunny Christmas! !